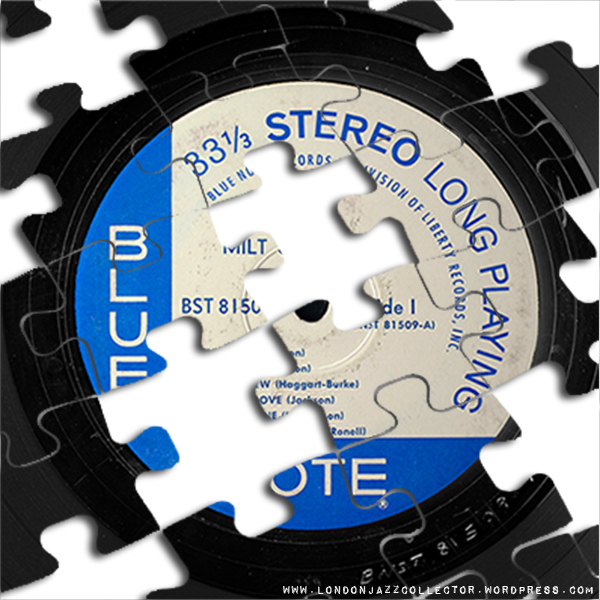 We like puzzles here at LJC, especially Blue Note ones, they stretch what you know, sometimes force you to rearrange what you think you know, but isn’t right. It’s good to be smart, but better to be even smarter. A post strictly for vinyl collectors. 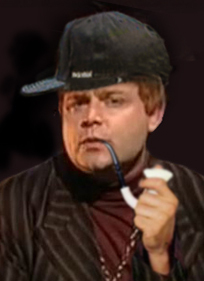 Collectors, turn on detective mode: pipe, check! deerstalker, check! violin, check! um .. cocaine? and ACTION! 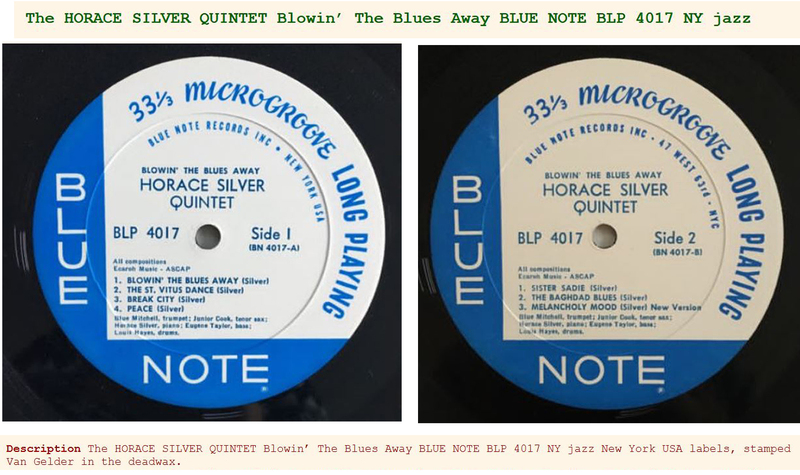 BLP 4017 Horace Silver: Blowing The Blue Away, was issued in October 1959. The album featured the new front line up of the Horace Silver Quintet formed in 1959 with Blue Mitchell trumpet and Junior Cook on tenor, an association which was to last the next five years and produce lots of great albums. The first vinyl pressing is in straightforward classic Blue Note livery: 47West 63rd labels, deep groove, Plastylite P and RVG stamps, first title post-incorporation to have INC. and ® on the label. Beautiful simplicity. Just looking at it makes me want one. By the time my copy below (posted June 29, 2014) was manufactured a couple of years later, the New York label had arrived, and the mixing of labels and grooves signalled what you might call the Second Pressing. The fundamentals are all the same, the same metal origin, Plastylite P and RVG stamps, but deep groove on one side only – Plastylite mixing old and new pressing dies, and mixing 47W63rd and NY labels, a process probably also controlled by Plastylite. First Pressing Fundamentalists should turn away now. Looking over a hundred or more auctions, the New York label seemed to be paired constantly with 47 West 63rd label. Both side 1 and 2 of New York can be found among these odd pairings. Below is a mock-up of what an NY/NY issue would look like if one could be found, which among a hundred auctions, couldn’t. The only probable explanation is that someone had ordered far too many 47 West 63rd labels for the first pressing, and stocks needed to be run down, systematically. If 47West 63rd was the first pressing, New York the second, then any further variation for the mono release would be a third. Which is where our mystery begins. LJC reader Diego S is a sharp cookie, who was a big help in the monster Prestige Label data collection study a while back, and knows his vinyl. 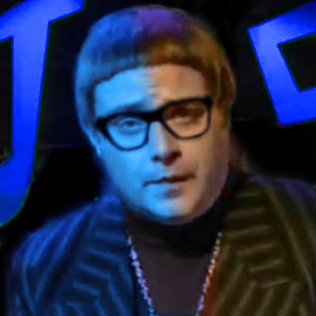 He came across an unusual copy of a Horace Silver Blue Note album in a record store recently. Finding a Blue Note in a record store nowadays is in itself unusual , but this was a Liberty reissue. Eagle-eyed Diego spotted something rather unusual, and had the presence of mind to run off some pictures, I imagine on a camera phone, and then fired them off them to me. Hah! Like I have nothing to do all day except chase mysteries, solve exciting puzzles. Four or five of Diego’s shots, taken hand-held at different angles, I pieced together in Photoshop into one picture, so we can see what this mysterious record’s labels and run-out looked like, in my traditional “diagnostic” helicopter view. Can you spot what caught Diego’s eye? Clue: it’s not the mixed address labels, that’s more or less normal for 4017. The RVG stamp was replaced by the VAN GELDER stamp in 1962. Its first sighting was on BLP 4094 Fred Jackson Hootin’ ‘n’ Tootin’, released in May of that year. BLP 4017 Horace Silver Blowin’ The Blues Away was released in October 1959, two and a half years before the VAN GELDER stamp came into use. Holy metal anachronism! The observation caused a brief short-circuit in the LJC logic bank: a muffled bang, followed by whisps of acrid smoke drifting from both ears. Next stop, RootsVinylGuide, and hit the usual wall of Ebay seller misinformation. Below is the same Liberty mono copy, described as “NY labels”, overlooking the 47W63rd. To stretch a point, 47 West 63rd Street is in New York, but that doesn’t make it an “NY label”, does it? The absence of Plastylite was left unmentioned. It is “stamped Van Gelder”, whether on both sides or meaning RVG or VAN GELDER generically, who knows. Another copy of the Liberty mono turned up, same mixed labels, similarly described as “NY RVG” while showing clearly 47W63rd label on Side 2 and no clarity whether “RVG” actually meant “RVG” or shorthand for “VAN GELDER”. Same guy, Rudy ,isn’t it? Yet another auction copy below, a seller at last noticed two different stamps: VAN GELDER on Side 1 / RVG on Side 2 Bravo! They don’t describe both labels, and the picture is too small to read, and doesn’t mention the absent Plastylite ear. Once again, the headline description as “NY VAN GELDER” gives no hint of Liberty provenance. The “27 Years of” inner sleeve is giveaway, which we all know is commonly found with early Liberty reissues. If I didn’t know any better, I might think some of these sellers want bidders to think theirs is an original Blue Note, without actually using the word “original”. So, none the wiser, with no-one selling the record providing sufficient description to help find out how and why a VAN GELDER stamp appears unannounced out of thin air, I returned to my starting point, staring intently at Diego’s record store snaps for inspiration. There must be an answer in there somewhere, if only I can find it. And then, there, I spotted it! Faint, captured by chance on the periphery of one of the pictures, not at the time significant, but the clue I was searching for. The VAN GELDER stamped side is not from the 1959 mastering metal at all. It’s a later recut, which Van Gelder identifies by the suffix -1 (or higher) following the catalog number matrix code. It is BN 4017-A-1 I’ve enhanced it in Photoshop for greater visibility, below. The Second Plastylite pressing (NY label on one side and 47W63rd on the other) are all RVG stamped on both sides. 4017 wasn’t re-mastered specifically for the second pressing, but for some other reason, some time after May 1962, any time, even up to the Liberty handover. Following the handover, Liberty found themselves in possession of two Van Gelder masters of BLP 4017, the 1959 original (RVG stamp) and a later recut, VAN GELDER stamp. And a still huge mountain of 47W63rd labels as well as a pile of NY ones. 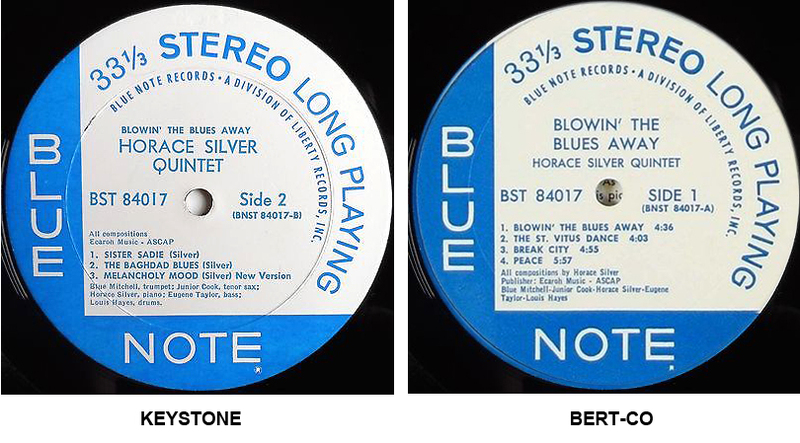 As part of their programme to reissue the Blue Note back catalogue, Liberty decided to use the later re-cut for Side 1, and the original master cut for Side 2 of this Horace title. Why that choice is anyone’s guess. It’s the only explanation that fits all the available pieces of the puzzle. Another little insight. All the mono copies reissued by Liberty use old-stock Keystone printed Blue Note labels, no Bert-Co Division of Liberty mono reissue. That appears only on the stereo, where the familiar divide between east and west coast manufacture appears. As an aside, back in 1959 Rudy also cut a stereo master (RVG STEREO stamp) for this recording, original pressings(47W63rd) of which are extremely rare. When Liberty came to reissue the stereo edition, it went quickly to new Division of Liberty labels. Who had a stereo record player in 1959? Almost no-one. Something for another day. My hypothesis still leaves some loose ends. Why was there a recut of 4017 at all, if it wasn’t to be used for Blue Note’s second pressing? Rhetorical question. Are there any Liberty copies (no Plastylite ear) which have Side 2 with VAN GELDER ? Are there any NY/NY label copies of this record , or all they all mixed pairs. Do see any other angles in this story? Do you have any of the missing pieces of the puzzle? Pick up your gun and badge at the front desk. 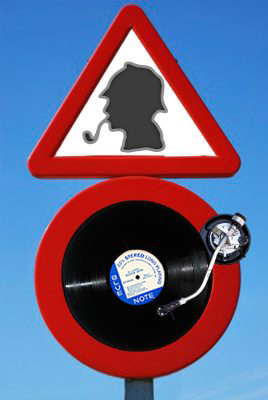 If you encounter any mysteries in your vinyl pursuit, shoot me a line. Who else ya gonna call? This entry was posted in Blue Note, Liberty and tagged Blue Note, Diego S, Horace Silver, RVG, Van Gelder by LondonJazzCollector. Bookmark the permalink. I have a stereo copy with 63rd on both labels. What details are you looking for? Hi Dave, the 47W63rd will be with RVG stamp. What piqued my interest is what edition the recut VAN GELDER stamp first appears on. So far I found it only on the Liberty reissue, suggesting the recut remained dormant during the Blue Note period, which seemed (to me at least) an odd thing for Rudy to have done. Read it through again. Interesting and I think you have a point in that the Side ! have been recut. The reason? Something could simply have happened to the first. Dropped on the floor. SQ deemed not ok etc etc. 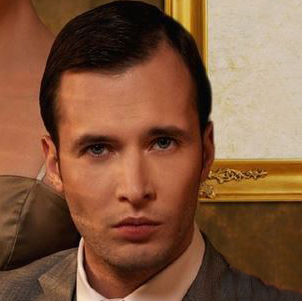 dear Mr. Andrew S. Holmes, are all the copies considered without deep groove? and is there a pre-Liberty copy with deep groove? great investigation!